Join us for a talk with Chicago-Kent’s Professor Schmidt, discussing his newly published book The Sit-Ins. 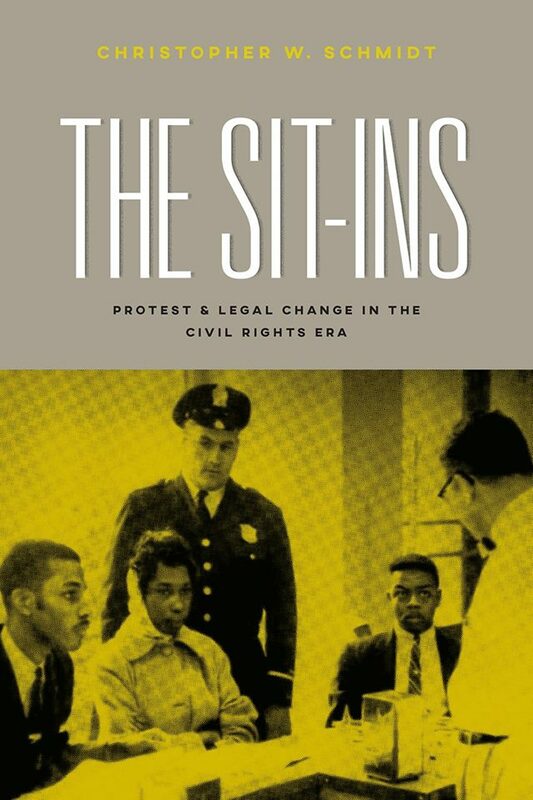 The Sit-Ins tells the story of the 1960 student lunch counter protests and the national debate they sparked over the meaning of the constitutional right to equal protection of the laws. The event will take place in room 510. Do-Rite Donuts and Dark Matter coffee will be served. Five free copies of the book will be raffled at the event. Copies are available now in the Chicago-Kent Bookstore and will also be available for purchase at this event! You can find a full description of the book here: http://bit.ly/2G14gJA. We hope to see you there! Co-hosted with Chicago-Kent Federalist Society and ISCOTUS.